It’s 1962, and the Age of Anxiety is in full swing. All across America, families sit down to watch television after their Sunday dinner. After the credits for “Lassie” roll, a colorful personality cuts suddenly through the restrictions of America’s black and white tube televisions. It was one of the few special Sunday nights a year where Bernstein would teach the nation about music. From 1958 to 1972, Bernstein spoke familiarly to people from all ages and backgrounds a total of 53 times, giving everyone with a television a well-rounded musical education better even than most incoming collegiate musicians these days could hope to have. Bernstein is widely considered to be the greatest American musician of all time. Through the course of his career, he excelled at everything he tried his hand in. A prolific composer, he built the New York Philharmonic into the world power it is today, championed the new music of his contemporaries and inspired the next generation of musicians along the way. Though he will forever be remembered for his iconic “West Side Story,” his reach was much broader. This year — the centennial anniversary of his birth — his pieces have been performed at a rapid rate around the world, causing many to reflect on the impact of his legacy. Over the course of the 53 episodes of his “Young People Concerts” on CBS, he taught thousands of non-musicians everything from modes to sonata form. He demystified the intense dissonance of Charles Ives, taught the science of acoustics, and introduced the world to a 7-year-old Yo-Yo Ma. For those of you without a musical background, I am delighted that you decided to stick it out, even after a whole bunch of unfamiliar musical jargon. Without being exposed to music through private lessons or participation in school ensembles, a musical education can be hard to come by. A love of music, however, can come from anywhere. For Dr. Frank Felice, a composition professor in Jordan College of the Arts, the path to understanding music was different than one would expect. Years after falling in love with KISS, Felice is a composition professor at Butler and an esteemed composer whose had his pieces performed around the world. Felice has watched the classical world change in the period following Bernstein. Unfortunately, Bernstein’s influence has faded. For many young people, attending a concert hall seems like an inaccessible, stuffy activity for the wealthy and aging. Even musicians acknowledge the issue. Senior percussionist Nate Fuerst believes the younger generation isn’t connecting with classical music, largely because it isn’t a part of American life in the first place. Unfortunately, the current patrons of the classical medium aren’t immortal and — as the younger generations lack the education that Bernstein tried so hard to make accessible — a difficult question is hanging over the world of classical music: What’s next? Despite the propensity such questions have for negativity, Felice doesn’t see the future as all doom and gloom. Leonard Bernstein didn’t undertake the task of educating a nation in vain. The benefits of classical music have been very well documented, from increasing focus to decreasing stress. However, speaking as someone who has only recently committed to becoming a musician, the understanding of carefully assembled music — building on thousands of years of tradition — is worth it within itself. Luckily, though we lack the cultivated guidance that Leonard Bernstein provided to generations previous, information has never been more accessible. 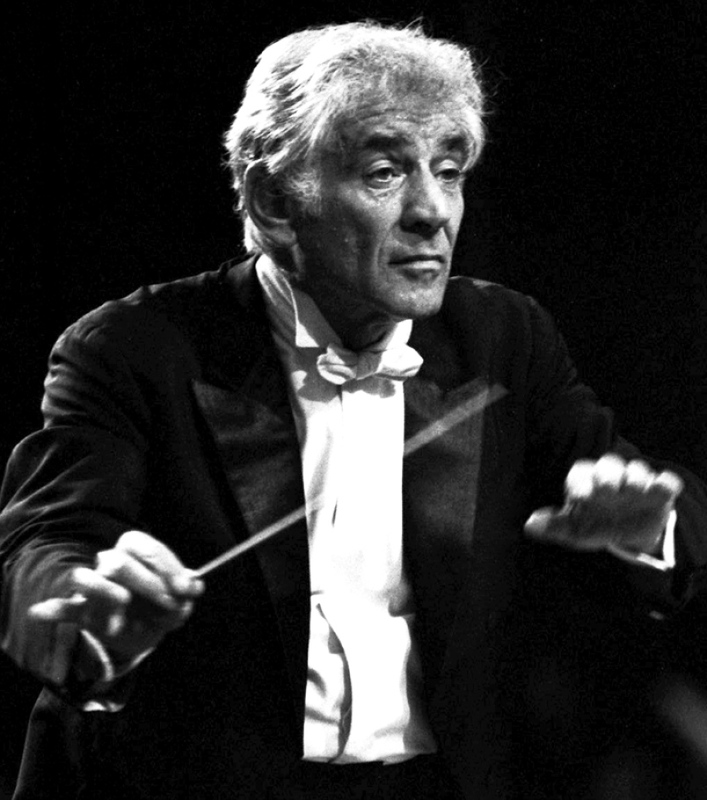 Almost all of Leonard Bernstein’s 53 programs can easily be found on YouTube, along with entertaining and easily accessible videos from people today who are attempting to make that same education accessible for a modern audience. I highly suggest hopping on YouTube, going through Adam Neely’s channel, and clicking on any topic that seems interesting. Channels like 8-bit Music Theory, Rick Beato and 12Tone also provide compelling insight into understanding how music is made, each from a different perspective. This is the Internet Age: there is no topic too broad or complicated to be demystified through casual web surfing. We also all are lucky to attend a university with an amazing college of music, and the campus is full of people who have chosen this medium as their life’s work. Dr. Felice has advice for students looking to broaden their musical horizons on campus. “You have probably 200 to 300 concerts, they are free on campus for the entire school year,” Felice said. “Go. The School of Music has faculty recitals on Tuesday evenings that are free. Go. You have colleagues who are students here that give concerts. Go. Despite the stuffy reputation, music is fulfilling — don’t let it turn you away. Though it may seem hard to bridge the gap between the pop music of Dua Lipa and the jazz-influenced classical music of Leonard Bernstein, if you appreciate and understand it, both are absolutely worthy of blaring through your headphones on the way to class.